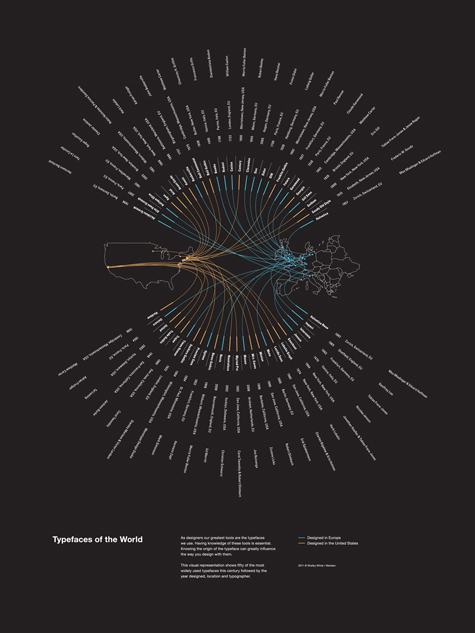 Typefaces of the World illustrates popular typefaces using a datamap design to portray the information. 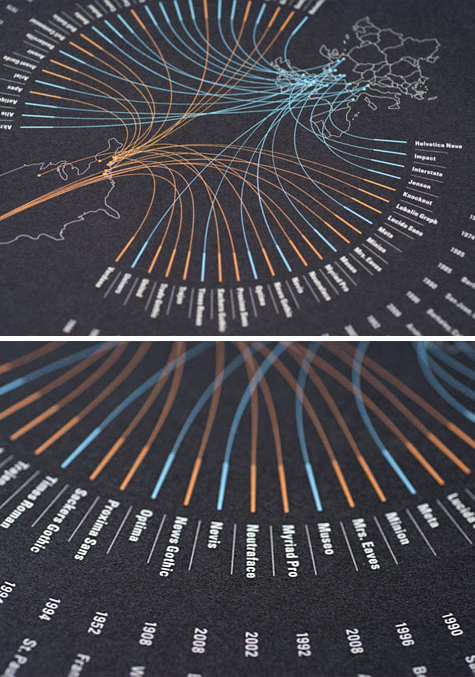 The poster includes information for each typefaces such as the year it was made, the location and the typographer. By Shelby White.